The Model JM Jeepmeter provides the ultimate in accuracy and versatility. It features a digital display of measured voltages. The precision measurement displayed eliminates interpretation errors and is perfect for every day tests. 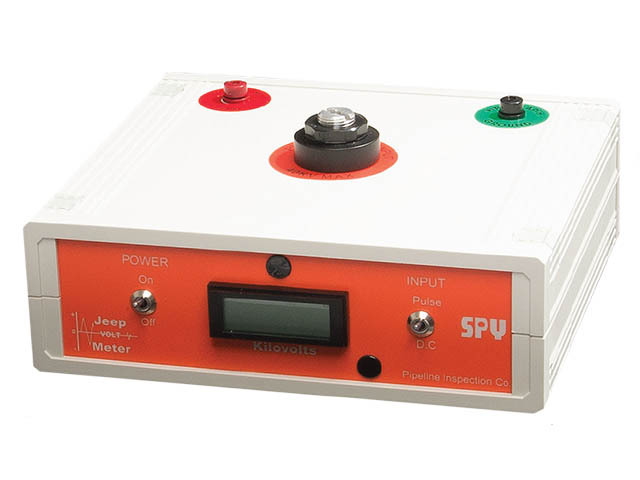 This Jeepmeter measures both pulse and DC voltage output. 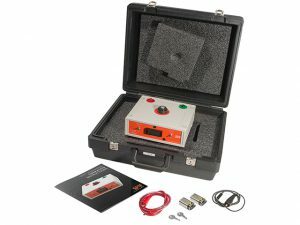 For pulse type holiday detectors, used to inspect shrink sleeves, tapes, coal tars, etc., the JM will measure up to 40 kv. For DC holiday detectors, used to inspect thin film epoxy coatings, the DC range of the JM measures up to 5 kv. The JM is powered by two standard 9-volt alkaline batteries.